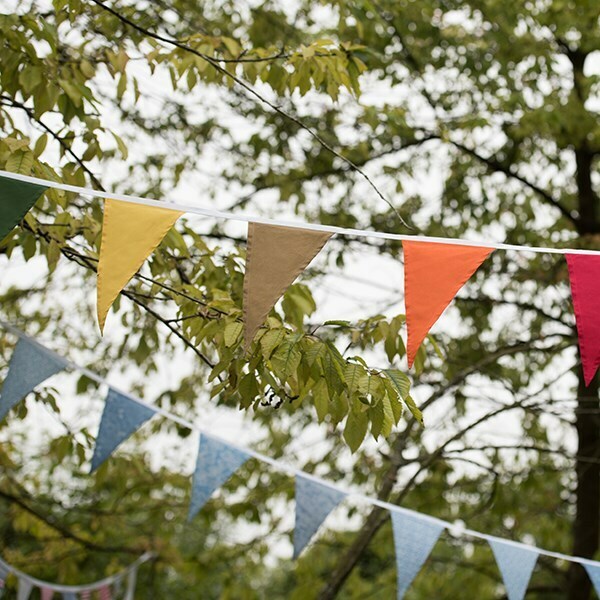 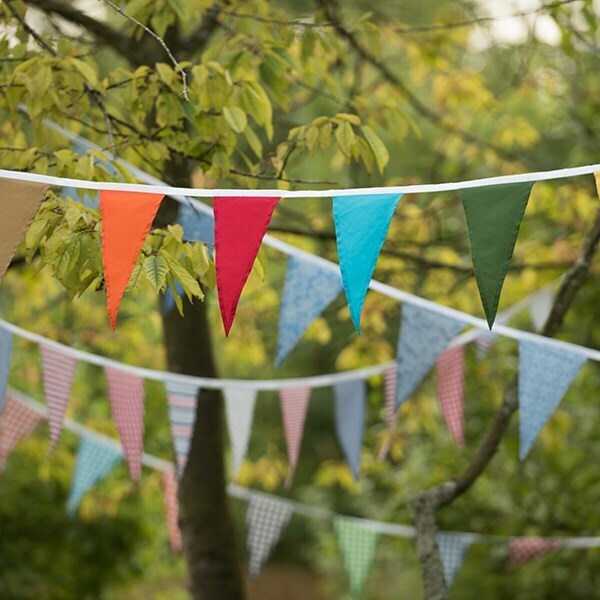 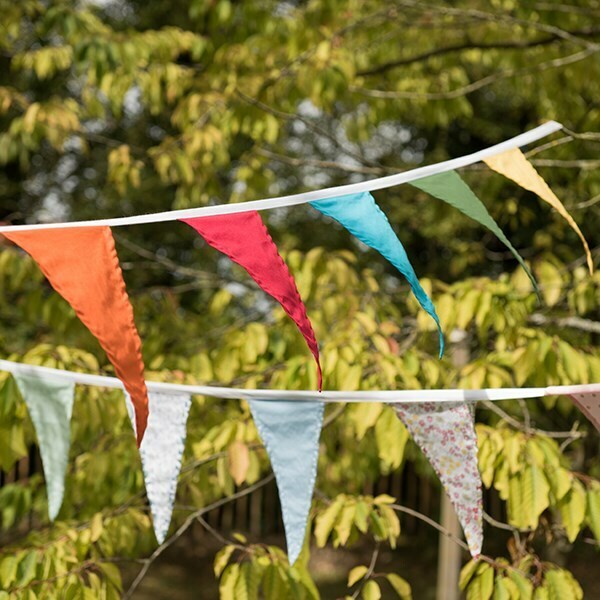 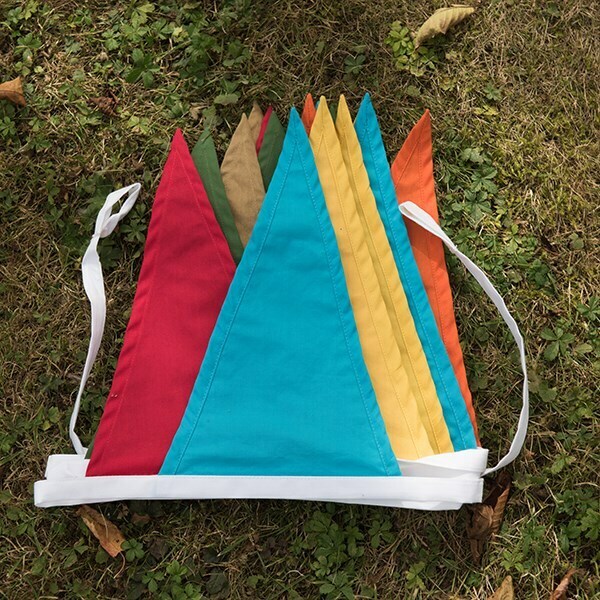 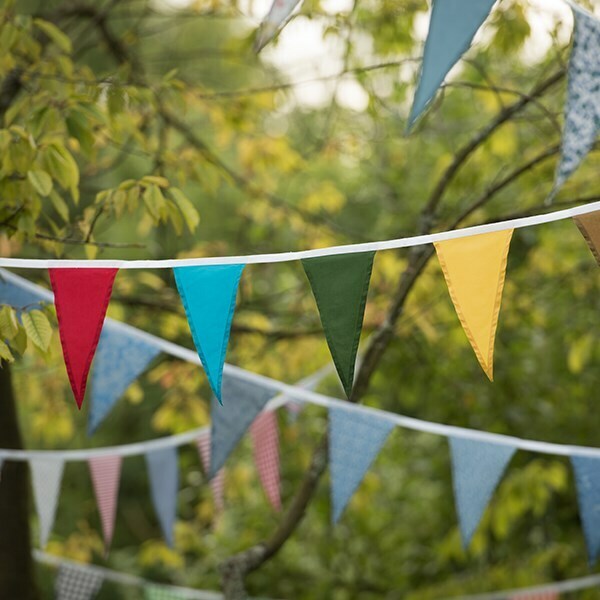 Add a splash of sunshine to your home or special occasion with this bright fabric bunting. 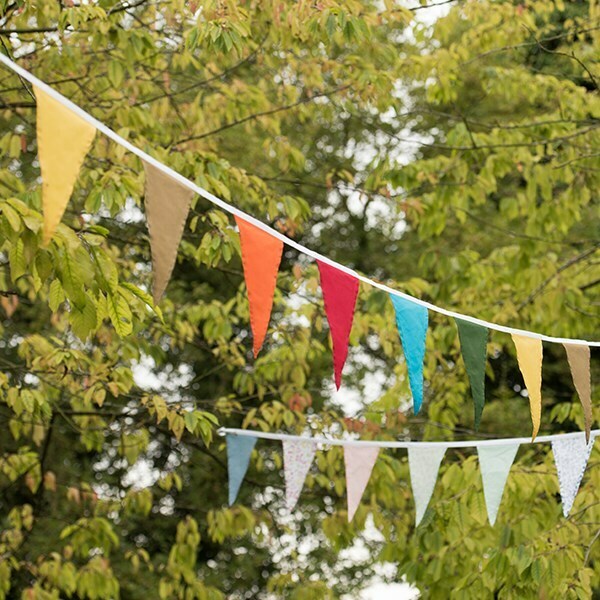 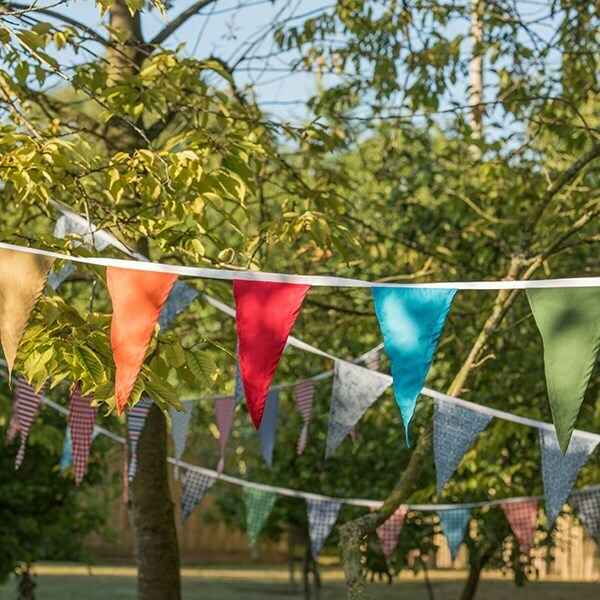 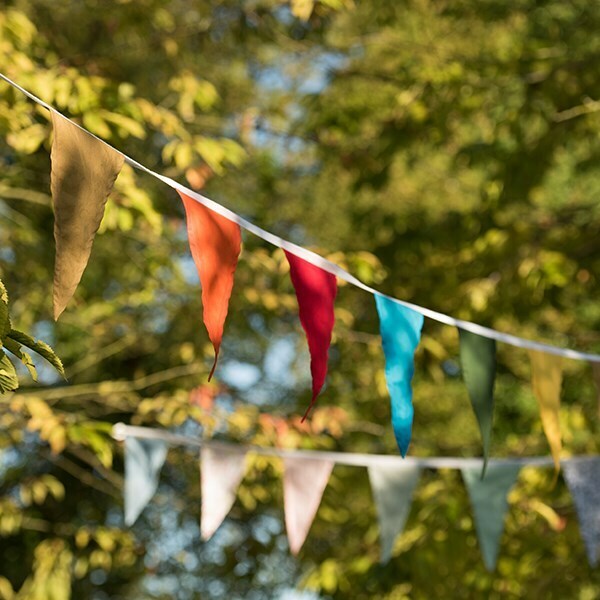 The string includes flags in tropical shades of blue, tan, yellow, red, green and orange - perfect for brightening up birthday parties, BBQs and other events, or simply adding a cheerful burst of colour to any room. 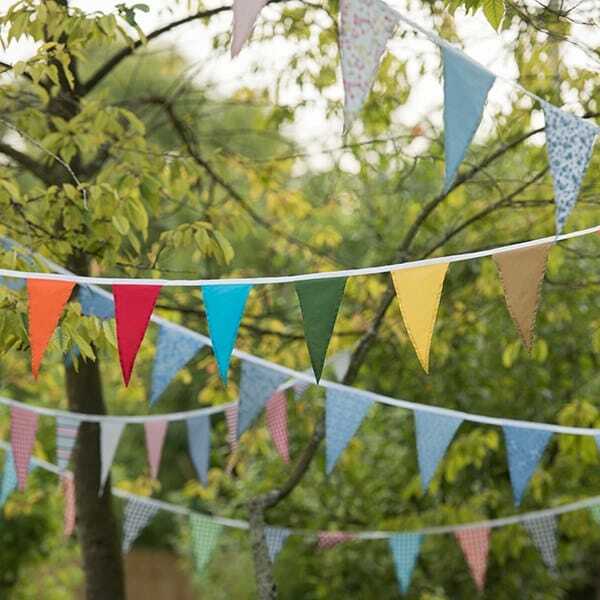 Each bunting string is made from 100% cotton percale and includes 15 pennants on a white ribbon.